Six major hurricanes that engulfed the Atlantic Basin in 2017 were a devastating reminder of the vulnerability of coastal communities, where more than half the U.S. population resides. What if there was a better way to forecast and communicate these storms' damaging economic impacts, before they happen? Colorado State University civil engineers have developed an innovative new approach to assessing the resiliency of coastal communities to hurricanes. They've created a "multi-hazard hurricane impact level model," which estimates economic damages to be caused by storms, before they happen. The impact model is detailed in a recent paper in Palgrave Communications, authored by Hussam Mahmoud, associate professor of civil and environmental engineering, and Stephanie Pilkington, a graduate student in civil engineering, who designed and validated the model. "Our model forecasts storms more in terms of impacts," Mahmoud explained. Forecasters typically communicate about approaching storms by categorizing sustained wind speeds on the Saffir-Simpson scale. 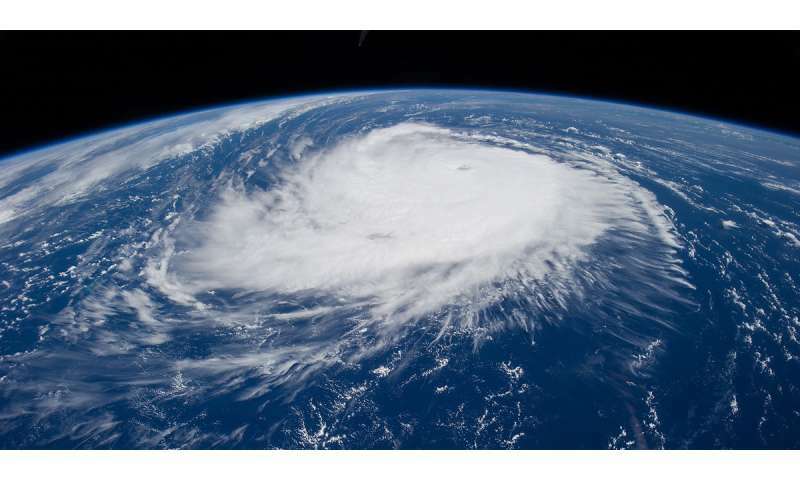 Wind speed, however, is not usually the main cause of death and destruction from hurricanes, the researchers say. The worst impacts are usually caused by flooding, precipitation and storm surge, combined with geography of landfall, population density, and quality of infrastructure. The researchers wanted to come up with a more accurate way to talk about impacts. Their goal is to provide communication about a tropical storm's expected economic damage, rather than only the meteorological intensity of the storm, Pilkington said. Mahmoud and Pilkington's impact model uses artificial neural networks and machine learning to "teach" a computer program how to predict a pending storm's damage, by dollar figure. The neural network, which is like an artificial human brain that gets smarter the more data it is fed, is powered by detailed historical data from several storms. These include Hurricane Katrina in 2005 and Hurricane Arthur in 2014. Mahmoud and Pilkington used this historical data to train neural networks to connect actual storm characteristics to actual known outcomes from those storms. To feed their model, they used publicly available data from federal agencies. Their model uses inputs including estimated landfall, population affected, maximum wind speed, maximum storm surge, and total precipitation. Then, they tested the model in real time during actual storms, including most recently Hurricane Harvey, which hit the Gulf Coast around Houston, Texas, in August. The researchers also used their model to analyze whether physical and policy improvements such as seawalls, the National Flood Insurance Program, and updated building codes have mitigated the impacts of powerful storms. In short, they haven't, the researchers say. According to their data, coastal communities in Florida or Texas are about as economically vulnerable, or even worse off, to hurricane devastation as they were 100 years ago. That's a sobering reality the engineers hope their work can shed light on. The number of people living in coastal communities has increased exponentially in 100 years, and with it, infrastructure and highways. "Improved building codes and other changes have not been enough to keep up with the sheer volume of wealth, infrastructure and people in those areas," Pilkington said. Pilkington, whose interests intersect in meteorology and civil engineering, wants the model to make a real difference in people's lives. "My ultimate goal is to have it be used by someone – whether the National Weather Service or elsewhere," she said. "We should be communicating to the public in terms of impact instead of intensity." Mahmoud and Pilkington are continuing to advance their model with better data, providing an even more accurate picture for hurricanes going forward. They also plan to use it to predict effects of climate change.